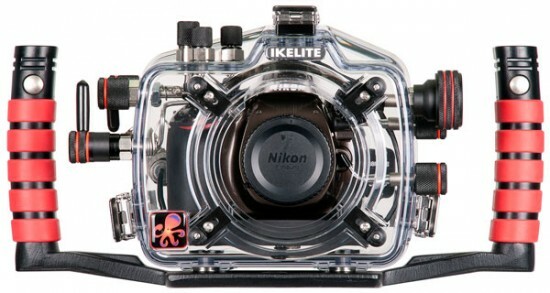 Direct connect flash is the most reliable and efficient way to fire an external underwater strobe. The camera's built-in flash does not need to fire, providing the extended battery life and no lag between exposures. Our proprietary circuitry allows direct communication between the camera and current Ikelite DS Substrobes for the most accurate through-the-lens (TTL) metering control of an off-camera flash. Electrical bulkhead and TTL circuitry are provided standard and included in the base purchase price.Rather than reaching out to your external strobe, exposure with a current DS Substrobe can be adjusted quickly through the back of the housing using a large dial control. TTL mode provides four 1/3 f/stop increments over or under flash compensation to fine tune exposure. Or control strobe output completely through the back of the housing using one of the 7 manual power settings provided in half-stop increments. Controls are provided for every camera function except the Diopter Adjustment Control, Info Button, Self-Timer and Flash Mode/Compensation Button. 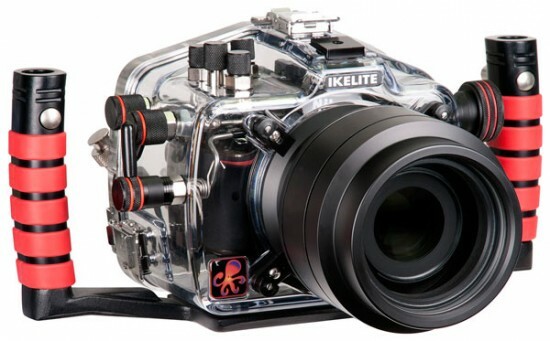 Flash compensation with Ikelite DS Substrobes can be accessed conveniently through the housing with a large rear dial. Shutter, video recording start/stop, and a large zoom control knob can all be comfortably reached without removing your hands from the handles. 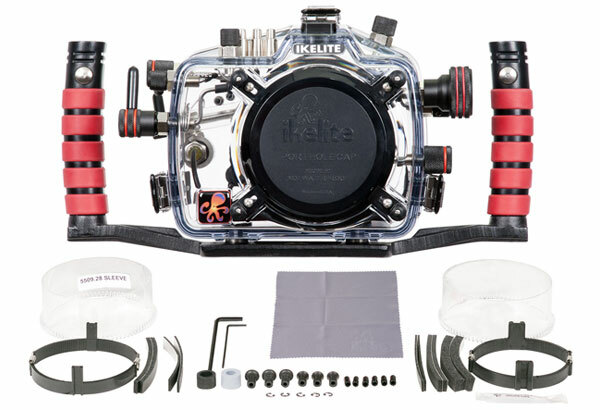 Comfortable rubberized grips provide quick-release attachment points for strobes and accessories. The tray and handles may be removed from the housing for convenience in traveling. The complete housing is neutral or slightly negative in freshwater depending on choice of lens port. 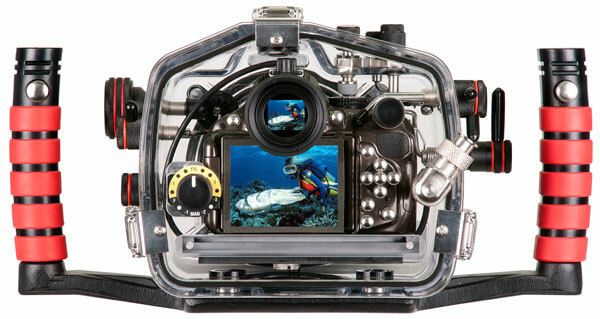 Check availability and latest price at B&H. This entry was posted in Nikon D5200 and tagged Ikelite, Underwater housing for Nikon. Bookmark the permalink. Trackbacks are closed, but you can post a comment.